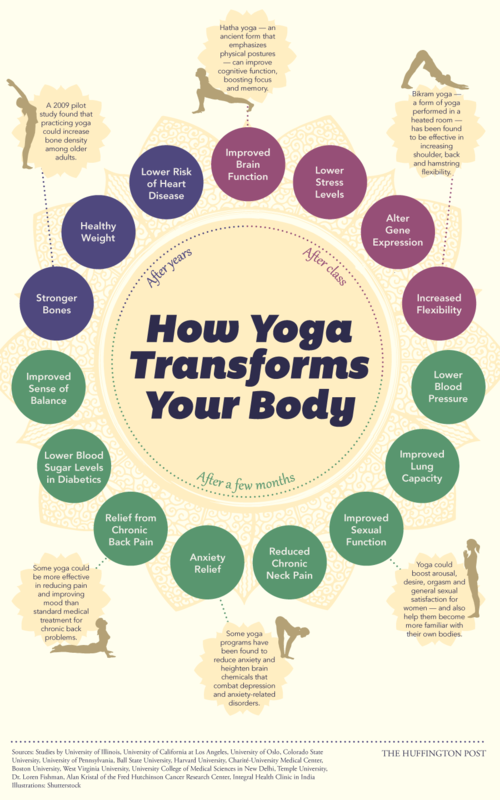 Every day it seems more and more research appears indicating how much yoga helps people in their every day lives. Not just with reducing stress and bringing a calm state of mind but also with enhancing the ability to think and focus. Below is a graphic that tells some of the story. Voice Your Life™ tools focus on using sound as well as gentle movement to integrate life changes with Higher Brain Living® sessions . A yoga posture may be as simple as raising your arms as high as your shoulders or bowing your head slightly while being aware of the flow of your breath. Every “body” is unique. Even if you can’t ever put yourself into one of the shapes you see below, you can still use your breath, sound and movement to receive the benefits!